AVAILABLE: Peter Fauland’s “Mastering the Fujifilm X100T/S” :: Save 40% with Code Fuji40! 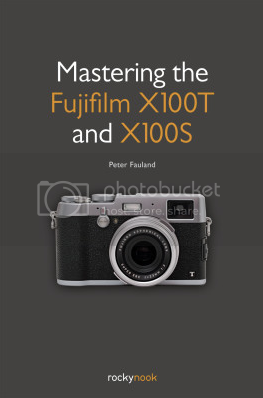 Peter Fauland’s “Mastering the Fujifilm X100T/S” is out. You can get it at RockyNook here and save 40% by using the Code “Fuji40”! The Printed version will be available in August at AmazonUS here. The German version is available at AmazonDE here and Dpunkt here. X100S owner should also take a look at Kevin Mullin’s book “X100S: From Snapshots to Great Shots“. previous post: BIG Giveaway: Iridient Developer is giving away Five Free Licenses + Ten discounts of 25% !